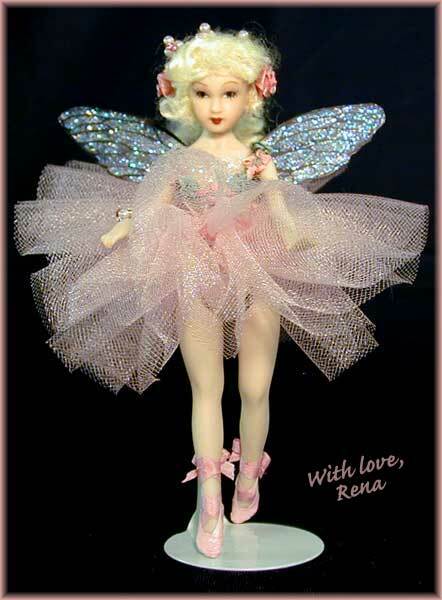 Fairy Princess Rena the Ballerina! Say "Bravo!" to Princess Rena, our newest ballerina! She is wearing her favorite pink tutu with her sparkling pink "sequin" tights. Her bodice is decorated with tiny, hard-to-find pink silk rose trim. Her blonde hair is in a pony tail bound with tiny pink pearls, highlighted with tiny pink crystals. 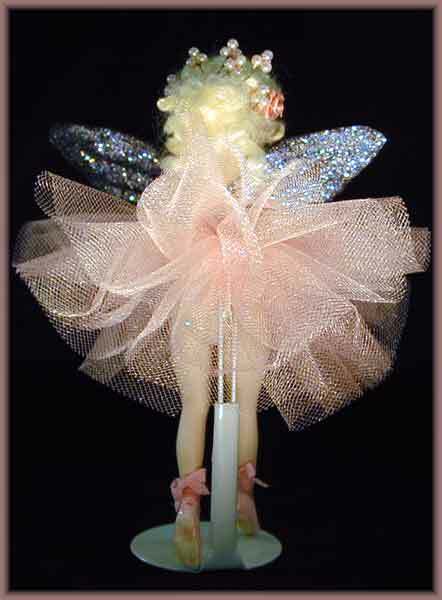 Her wings are hand made, as are her pink ballet slippers and tutu! 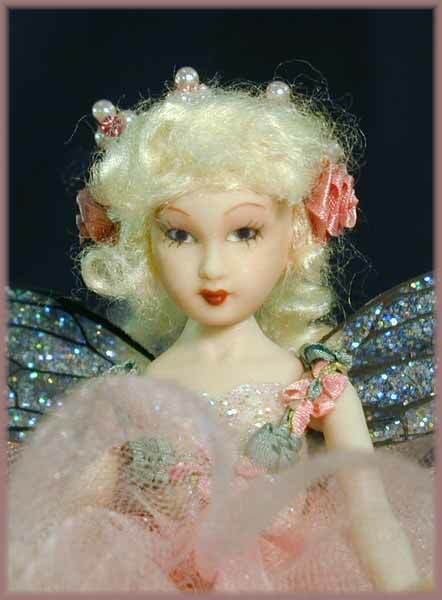 She is about 51/2" tall from head to toe, with a wingspan of 3", and she has glass-inset eyes. She is a gorgeous, one of a kind creation by the artist JoAnnJ of Galleria d'Juliani, and is hand-signed by the artist.